Because we don’t. Neither does anyone else. Just looking at the myth that “time heals” creates the idea that a person just has to wait and they will feel better. We have known people who waited 10, 20, 30, and 40 years and still didn’t feel better. We know that they would tell you that not only had time not healed them, but that it had compounded the pain. The other five myths carry equally unhelpful messages. People say you have to let go and move on in your life, but they don’t tell you what you need to do to accomplish that. The Grief Recovery Method® Support Program, developed and refined over the past 30 years, not only makes that possible, but provides partnerships and guidance to ensure that it happens. What is The Grief Recovery Method® Support Program? This powerful and dynamic experience is the most sensible, accessible, and authentic plan available for recovery from loss. Each program is facilitated by a Certified Grief Recovery Specialist® in either the 8-week group format or the 7-week one-on-one format. The Grief Recovery Institute has trained thousands of Specialists all over the country as well as internationally. I provide a safe environment for participants to take the actions of The Grief Recovery Method®. You will look at your old beliefs about dealing with loss, what losses have affected your life, and take new actions that will lead you to completion of the pain attached to those losses. As a result, our participants find that they are able to discover and complete what was left emotionally unfinished due to a death, a divorce, or other major loss. The Grief Recovery Handbook, 20th Anniversary Expanded Edition: The Action Program for Moving Beyond Death, Divorce, and Other Losses including Health, Career, and Faith (2009) and the accompanying format, both written by the founders of the Grief Recovery Institute®, John W. James and Russell Friedman, are used as texts for the program. When is it time to start Grief Recovery? Is it ever too soon to recovery? No! Effective Grief Recovery can begin immediately. We tend to create larger-than-life memory pictures in which we either enshrine or bedevil the person who died. This phenomenon increases with time, making it more difficult to discover the truth within our relationships. It is never too soon to address your grief. Imagine getting a flat tire, how long would you wait to call for help? Waiting won’t get your tire fixed, and neither will waiting some “acceptable” amount of time help you to live beyond your pain. 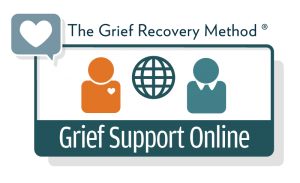 What is the difference between The Grief Recovery Method® Support Program and other support groups? Many grief groups provide an environment for you to verbalize the thoughts and feelings you experience following a loss. While there is a benefit to that kind of expression, it is not enough. Talking about how you feel does not complete the unfinished emotional business that is attached to a loss. The Grief Recovery Method is designed to guide you through a series of actions to not only verbalize your feelings, but to help you complete the pain associated with those feelings. For the safety and success of all participants, commitment and attendance are essential. Don’t wait any longer! Time alone will not heal your broken heart! The Grief Recovery Method® creates the safety and the correct action choices that help people move beyond the pain caused by loss. Together we can help you to take a look at old beliefs about loss; to look at what other losses have affected your life; and to take new actions which lead to completion of the pain attached to the recent loss, or the loss that occurred long ago. 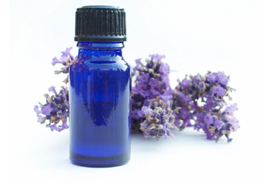 For more information about The Grief Recovery Method® please contact me. Maybe you have been fighting to stay strong, or keeping things from falling apart around you for a very long time. Now you have reached that point when enough is enough and it’s time to stop going through life feeling stuck, fearful, and overwhelmed! Are you looking for guidance and tools to help you to get back on track? If so, you have come to the right person! I know, it’s really hard to make that first call. You might be feeling anxious, nervous, or even scared and that’s OK. But know this, you will find a very empathetic and caring person at the other end of the line or e-mail, I promise. I’m very passionate about what I do and I truly want you to feel safe and supported. It’s a very brave decision to be willing to look at the losses, disappointments, and broken dreams in your life, but I will be there to listen and guide you through the process. I only work with clients using the 7-week Online One-on-One program, which means we can work together from anywhere. You contact me here and I’ll get back to you, then we set a date and time for a complimentary “getting to know you” call. We meet for the first time over the phone. The program will take place over an easy to use online meeting platform. In this first call I will first introduce myself and tell you a bit about my story so you know that you will have an experienced person to guide you. I will then explain to you how the Grief Recovery Method® works. I will ask if you’re ready to tell me your story, and will listen without judging or trying to fix anything. I will not pressure you to book the program or any other of my services. If you need time to think or ask questions, we can arrange another quick call. If you’re not interested, you can always get back in touch at a later time if you change your mind. We will then select a day and time from my availability that suits you. The meetings will (ideally) take place on the same day and time every week to keep a regular structure. I will then send you a confirmation, client contract, terms & conditions sheet and invoice to you by either regular mail or email. We then meet on our selected day and time every week through my online meeting platform (it’s very easy to use, I’ll teach you how). If you prefer to work in a group program or one-on-one with a Certified Grief Recovery Specialist in your area, I will be happy to refer you to someone close to you! You will free up so much energy – energy that you can use on pursuing your dreams instead of being stuck in a painful past. I can assure you that it’s worth it and that I will hold a safe space for you to be vulnerable and tell your true stories without being judged. You can book your free first session by contacting me.